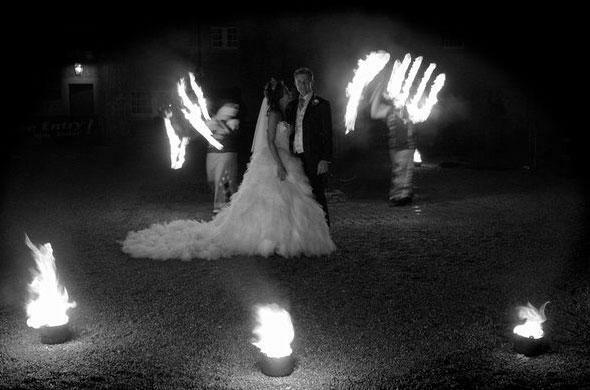 Breath-taking, beautiful and unforgettable fire and light shows, delivered with professionalism, reliability and the utmost care and attention. Their performers dance through circles of fire, delighting and amazing audiences around the country as they go. From corporate events to festivals, from parades to parties, FirePois is an event favourite across Ireland and Northern Ireland and they’d be delighted to work with you on your next big occasion. 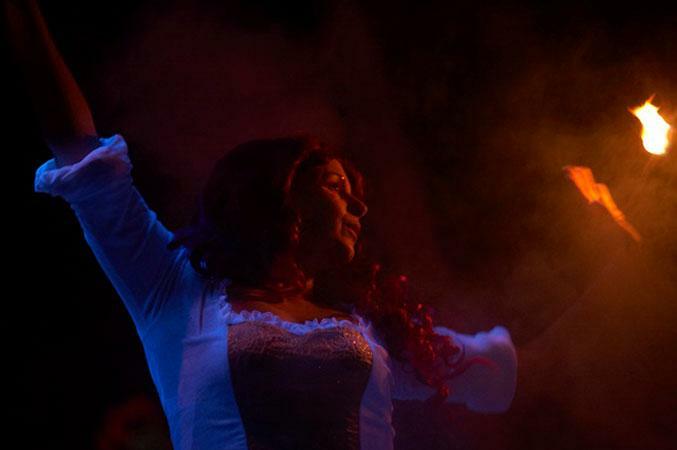 They offer fabulous set shows, choreographed fire routines often accompanied by live musicians, or they can tailor their performance to suit your needs. Indoors or out, FirePois can really light up any event. For those dark indoor spaces where fire is not appropriate (ie. nightclubs! ), they can offer LED shows – the perfect way to light up dark spaces! 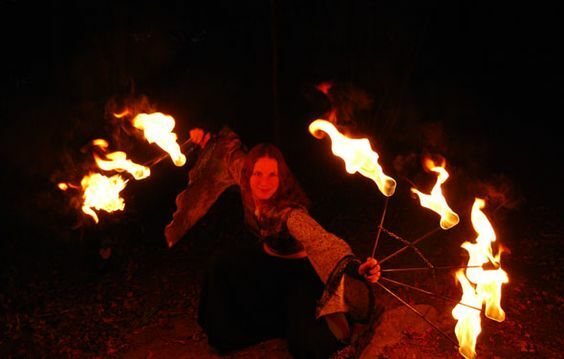 The second choreographed FirePois show involves two fire performers and one musician. This shorter, 15-minute routine sees the girls perform with a variety of fire props, creating a beautiful show that will wow guests. This show is very popular with clients. 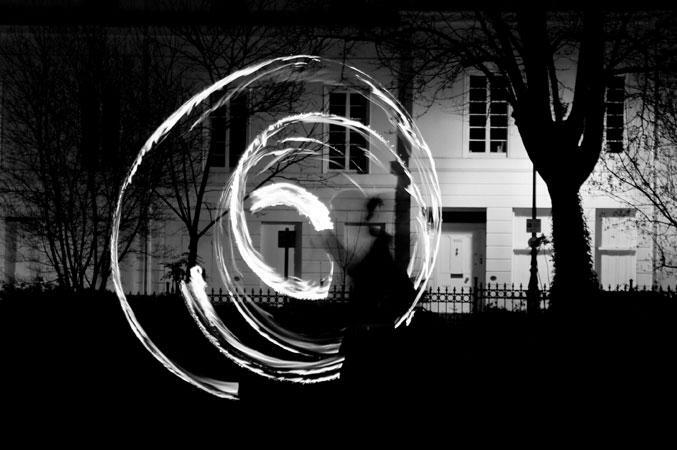 Finally, dependant on venue, FirePois offer a 5-minute indoor choreographed performance, featuring one fire performer and one musician. This is a truly unique, elegant and beautiful routine, with their fire dancer moving to the sound of a gorgeous Celtic melody, played live by an incredible guitarist. 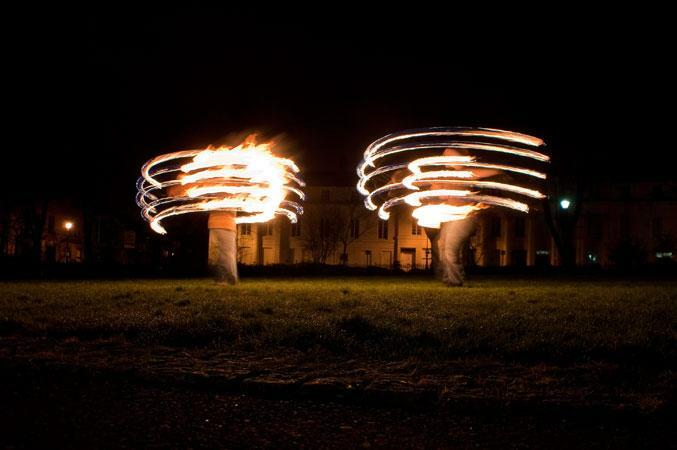 FirePois can offer bespoke performance based on any of the above acts, but they also offer performers as ‘meet and greet’, and for freestyle fire or LED performances. 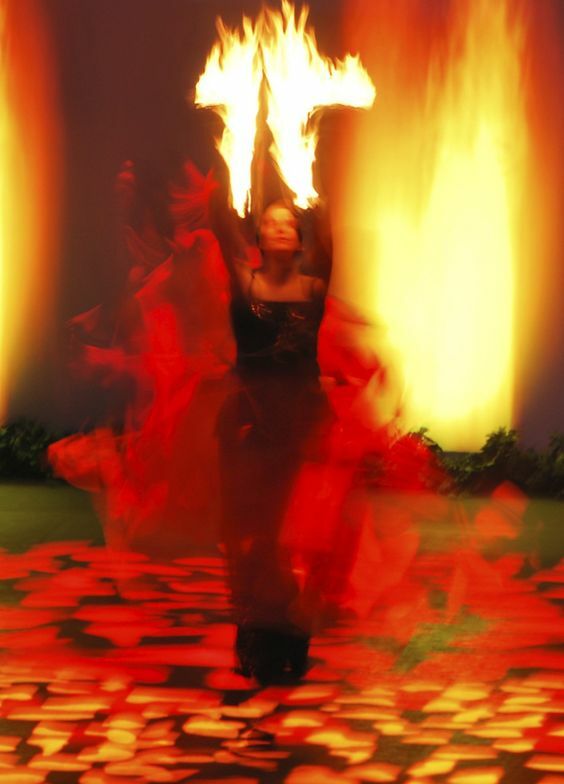 Costumes available include elves, harlequins, fairies, pirates – but their fire performance costume is stunning, elegant and with a subtle Celtic twist.